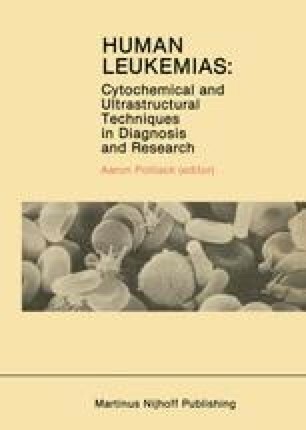 During recent years normal, leukemic, and transformed leukocytes have been studied by means of scanning electron microscopy (SEM) [1–3]. Under the SEM different cell types display relatively consistent surface features and despite some overlap, cell types can be recognized on the basis of their surface topography. While SEM is useful in confirming the diagnosis of the cell type in lymphoid and nonlymphoid leukemias, it does not appear to contribute much in unclassified or undifferentiated leukemia or in the distinction of subtypes of acute lymphoblastic leukemia (ALL) [3,4].